Over the past 20-plus years, who else has chronicled and satirized pop culture quite like The Simpsons? 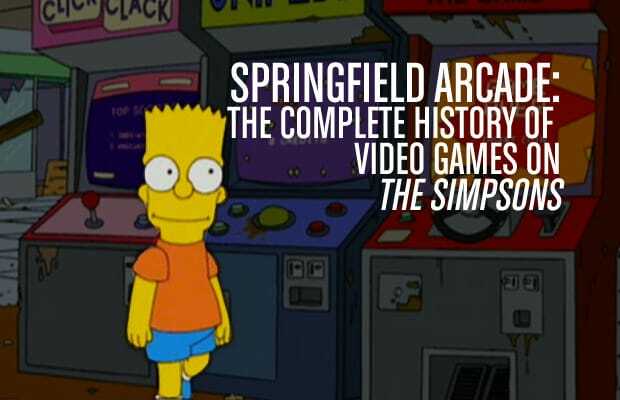 The denizens of Springfield have always loved their cartoons, movies, and beer—oh, and video games. And missing fingers or not, they've been gaming their way through arcades and home consoles since the very first season back in 1989. So us being the fans that we are, we combed through the nearly 500 episodes to find the more than 70 video games (including one vaguely racist Pachinko game) that have appeared in the show. Many of them were game cabinets or box covers only—and you can find the massive compendium at the end of the list—but if you ever saw the game being played, we've got it here. From Super Slugfest to Earthland Realms, get ready for the greatest historical exhibit KNOWN TO MAN. D'oh or die!